Picric acid was the first high explosive nitrated organic compound widely considered suitable to withstand the shock of firing in conventional artillery. By far, the largest use has been in munitions and explosives. Picric acid, or 2,4,6-trinitrophenol, pale yellow, odourless crystalline solid has also been called picronitric acid; carbazotic acid; nitroxanthic acid; melinite; lyddite; pertite; shimose; melinit; granatfullung; sprengkorper 88; pertit; picrinit; ekrasit; TNF; and shimoza. Picric acid is both a useful explosive compound and a precursor to other explosives. It has found some use in organic chemistry for the preparation of crystalline salts of organic bases (picrates) for the purpose of identification and characterization. In metallurgy, a picric acid etch has been commonly used in optical metallography to reveal prior austenite grain boundaries in ferritic steels. Bouin solution is a common picric acid-containing fixative solution used for histology specimens. It improves the staining of acid dyes, but it can also lead to hydrolysis of any DNA in the sample. Clinical chemistry lab testing utilizes picric acid for the Jaffe reaction to test for creatinine. It forms a colored complex that can be measured using spectroscopy. Much less commonly, wet picric acid has been used as a skin dye or temporary branding agent. It reacts with proteins in the skin to give a dark brown color that may last as long as a month. Picric acid emits a high-pitched whine during combustion in air and this has led to its widespread use in fireworks. Picric acid has been used for many years by fly tyers to dye mole skins and feathers dark olive green. Picric acid has antiseptic and astringent properties. For medical use it is incorporated in a surface anesthetic ointment or solution and in burn ointments. In short it is used in explosives, matches, leather batteries, etching copper, colored glass, textile mordant, dyes, reagent and so on. Modern safety precautions recommend storing picric acid in wet condition only. Dry picric acid is relatively sensitive to shock and friction, so laboratories that use it store it in bottles under a layer of water, rendering it safe. 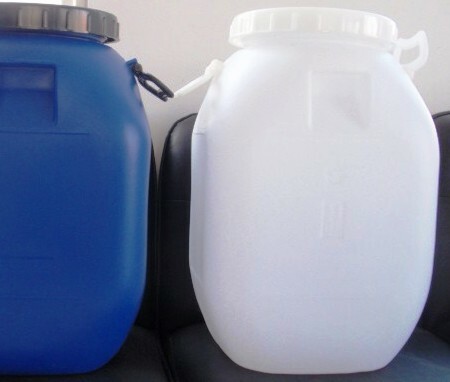 Glass or plastic bottles are required, as picric acid can easily form metal picrate salts that are even more sensitive and hazardous than the acid itself. If a plastic cap is present, and the acid inside has dried, some crystals may be on the threads and the friction of removing a plastic cap might be enough to detonate the container. Under these circumstances, the container may be safe enough to place in a pail of water. Submerge the bottle to allow water to enter the cap and threads and dissolve any crystals that might be on the threads. Add ice to cause shrinkage of the bottle to enhance penetration of the water. Leave it like this for several days, until water can be seen inside the bottle. At this point, it is safe to open the cap and re-hydrate the acid inside. In case of doubt, bomb disposal unit may be called to dispose of picric acid if it has dried out. 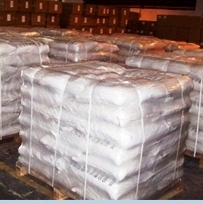 Picric Acid is distributed by the manufacturers wet with 10 to 35% water. As the water evaporates over time, the substance becomes dry picric acid crystals. Dry picric acid is highly explosive especially when it is combined with. It will also react with alkaline materials including plaster and concrete to form explosive materials. 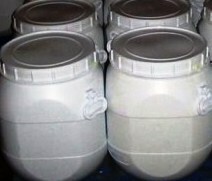 This material is shock sensitive and corrosive to metal containers.